Save $6 with this complete pack of five designs! 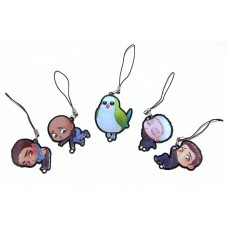 All charms are printed on high quality acrylic with a glossy finish. They come with (5) 2" long black cell phone straps with removable split rings so you can mix and match your favorites.